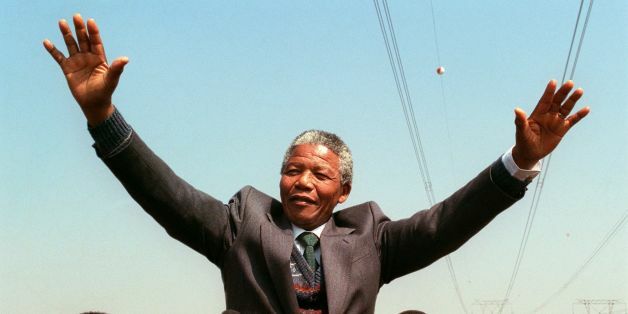 December 5 was the first anniversary of Nelson Mandela's death. He became an international icon because he chose reconciliation and forgiveness over war and vengeance. There is no doubt that Mandela was a great man and a great leader. But, now that we have mourned, it is time to take a critical look at his legacy. When we scratch beneath the surface, we find that the political bargain that he brokered to bring an end to apartheid while avoiding massive bloodletting and economic disintegration is now falling apart. In one of the most impressive public opinion studies on land reform in South Africa to date, Professor James Gibson surveyed 3,700 South Africans and found that 85 percent of black respondents believed that "most land in South Africa was taken unfairly by white settlers, and they therefore have no right to the land today." Gibson's most troubling finding was that two of every three blacks agreed that "land must be returned to blacks in South Africa, no matter what the consequences are for the current owners and for political stability in the country." According to Gibson's data, most blacks, whether they live in rural or urban areas, see the land as stolen and want it back even if redistribution will provoke political unrest. That is, land injustice has become a sea of oil waiting for a match. The Economic Freedom Fighters (EFF) are that match. EFF is a newly formed South African political party led by former African National Congress (ANC) youth league president, Julius Malema. The party's foundational principle is "expropriation of South Africa's land without compensation for equal redistribution in use." After only a few months of campaigning, EFF won 6.3 percent of the vote in the national elections this past May, superseded only by the 22 percent won by the main opposition party -- the Democratic Alliance (DA). To be sure, the ANC secured a safe majority by winning 62% of the vote, but the EFF's success serves as a reminder of the consequences of its failed land reform program. Black South Africans can only be expected to be so patient. If legal channels for correcting past land theft are not working, then they may resort to illegal or extreme measures to get their land back. Although Mandela has died, we cannot bury his dream of a free and fair South Africa along with him.